Laura Renwick ensured a flying start for Great Britain at the Ashford Farm CSI**** Bolesworth International by winning the opening class on Thursday. 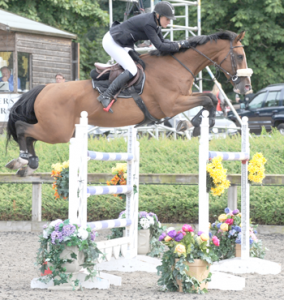 The Essex-based Nations Cup star, from Maldon, landed a thrilling 1.30m two-phase competition, sponsored by Aggreko, with the 14-year-old bay mare Beluga owned by John and Marian Renwick. 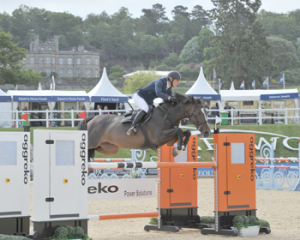 Beluga, a speed course specialist and regular winner on the British and European circuits, clocked 29.02 seconds to secure a first prize of just under £1,000 in Bolesworth’s international arena. The top four finishers were separated by just 42 hundredths of a second. Irish Olympian Marion Hughes was second aboard Laith, while Keith Shore and Zegreanne Z took third spot, just ahead of Nicole Pavitt and Our Duchess as Bolesworth, running at four-star level for the first time, got under way in the spectacular grounds of Bolesworth Castle in Cheshire. “She is an amazing horse,” said Renwick. “She has won at every age, and is naturally quick. “She is back from having a few weeks off, and she just did what she always does. She will jump anything, and that type of class is her bread and butter. “I know her so well, and if everything goes well, then she is going to be there or thereabouts. 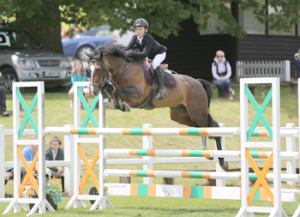 Fourteen year-old Ward Ottley from Bishops Stortford, Hertfordshire on board his father Jason’s 10-year-old brown gelding Kissemmie Chatterbox won last Saturday’s Blue Chip Pony Newcomers Second Round at Bicton Arena in Salterton, Devon. Ward fought off thirty-nine other competitors in his quest to secure not only the top spot, but also a place in the Championship Final. With just two direct qualifying places available for the Blue Chip Pony Newcomers Championship Final at Horse of the Year Show, each rider was focused on producing a treble clear as they knew that this would give them the best chance of taking one of the coveted qualification spots as their very own. From the initial starting field of forty, twelve combinations made it through to the final jump off and eight treble clears were eventually delivered. This resulted in the clock once again playing a crucial part in the allocation of the Championship Final qualification places. Ward had the enviable position of being drawn last to go in the final jump off and this meant that he knew exactly what he needed to do in order to take the win. Knowing that only a treble clear in a fast time would do, Ward steered his pony over the jump off course both accurately and quickly to cross the finish line in 41.87 seconds. This saw the combination take victory with nearly 1.5 seconds to spare. Second place was secured by 16 year-old Millie Dickinson from Harpenden, Hertfordshire with her mother Jan’s 9 year-old chestnut gelding Ron Burgundy. This combination finished inside the top two after producing their third foot perfect round in 43.24 seconds. This result also saw them secure a place in the Championship Final. With the top two taking the direct qualifying tickets for the Blue Chip Pony Newcomers Championship Final at Horse of the Year Show, the riders and ponies that finished in third to eighth missed out on their Championship qualification this time around. However, they did take home the chance to compete in the Blue Chip Pony Newcomers Masters at the British Showjumping National Championships. GB’s leading lady rider Laura Renwick from Maldon, Essex secured 2nd place with home produced and British Bred 9 year-old bay gelding Bintang, owned by her husband John. Having made his debut on a FEI 5* Nations Cup team on Friday when he jumped an outstanding clear in his first round he mirrored this performance again this afternoon when he jumped double clear in the Sopot Grand Prix. It was twelve riders that came forward for the jump off having gone clear in the first round and Laura was one of only two riders that managed to break the 52 second barrier. Their finish time of 51.71 seconds wasn’t quite enough to catch Sweden’s Douglas Lindelow and Casello 2 who broke the finish line in 48.96 seconds but it was enough to relegate Germany’s Patrick Meyer into 3rd place. Bintang has certainly done Laura proud this afternoon and shown the talent that she has always believed he had. 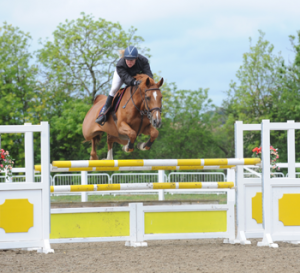 Having produced him slowly through the national competition structure they took the 7 year-old Championship title at the British Showjumping Young Horse Show in 2013. Last year saw her introduce him to international competition where he has steadily progressed taking it all in his stride with great success culminating in him being selected for the Sopot FEI 5* Furusiyya Nations Cup. To come out and jump three out of four rounds without a penalty being accrued is an incredible performance and one that both Laura and John must draw great satisfaction from. The Royal Norfolk Show, to be held on Wednesday 1st and Thursday 2nd July, is only a month away and this year’s equine and livestock programme features an exciting programme and a host of new competitions. There will be 118 Light Horse classes, 50 Heavy Horse classes, 8 Show Jumping competitions and 12 Private Driving classes – including donkey driving and two fast paced scurry competitions to be held in the Grand Ring. The Show also has three major Championships: The Horse of the Year Show Cuddy Supreme In Hand Championship, The RNAA Supreme In Hand Championship sponsored by the Stuart Group and the RNAA Supreme Ridden Championship sponsored by Leathes Prior solicitors – new for 2015. The Supreme Ridden Championship is to find the Supreme Ridden Show Champion – irrespective of breed or type. 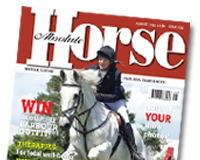 There will be 14 horses and ponies eligible to compete in this Championship in the following sections: Ridden Heavy Horse, Arab, Cob, Halflinger, Hunter – Ridden, Hunter – Small and Hunter – Ladies Side Saddle, M&M Ridden Welsh, M&M Ridden Non-Welsh, Riding Horses, Retrained Rachorse – Showing, Skewbald & Piebald, Sport Horse – Flat Ridden and Veteran. Also new for this year is the Clydesdale Heavy Horse In Hand section. 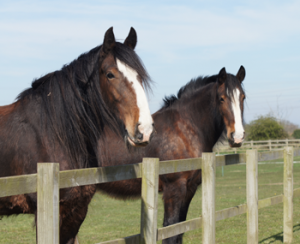 The Royal Norfolk Show is now one of only two county shows hosting competitions for all four main breeds of Heavy Horse – Shire, Suffolk, Percheron and Clydesdale. Entries have now closed with 245 heavy horse entries – a record best for the Show! There are also a further 53 Championship classes and 40 Special classes throughout the equine sections. Her Majesty the Queen has bred two horses that are entered in this year’s Show. They are Barbers Shop that entered last year and Tower Bridge. Barbers Shop is competing in the Ladies Side Saddle class ridden by Katie Jerram. This class has proved particularly popular this year as it is now run under the rules of Sports Horse Breeding of Great Britain (SHB GB) and is a qualifier for the Royal International Horse Show 2016. Tower Bridge is competing in the TopSpec heavyweight Show Hunter of the Year class for ridden hunters and will also be ridden by Katie Jerram. This class is a Horse of the Year Show qualifier which will enable the winner to compete at the Horse of the Year Show in October 2015. Producing the fastest double clear of the class was 29 year-old Michaela Huntington from Braintree, Essex and she was riding her own 7 year-old chestnut mare, Alegro Z. Drawn second to go in the jump off, they produced their double clear in 35.68 seconds a time that no – one else was able to beat. Second place went to Jo Wilkins from Haverhill, Suffolk with her own 8 year-old bay mare Clover Honey. This combination produced their double clear stopping the clock in 37.15 seconds. 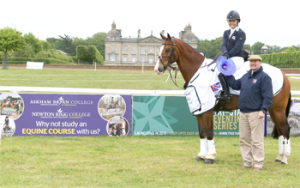 A highly competitive field of young riders battled it out for this year’s CCIYR 2*section at Houghton Hall in Norfolk on 31st May. Sophie How became the new U21 Champion, having led from the front on the 9-year-old Bojangles HRS, a ride she took over from her brother Tom several years ago. The pair took the title on a score of 40.3, having added just 0.8 cross country time to their impressive dressage score. Last year’s Champions, 20 year old Will Furlong from East Sussex and his own Livingstone II, had to settle for the runner up spot this year. The pair finished on their dressage score of 47.2, one of only two young rider combinations to do so, they had climbed up the leader board from eighth after the first phase. 18 year old Sam Ecroyd from Flintshire claimed the final podium placing riding his own Wodan III. Sophie received gifts and rugs in kind from the section title sponsors as well as from the Worshipful Company of Saddlers, plus a British Eventing cut glass bowl. BE Chairman of the Board, Paul Hodgson presented Sophie How with her winnings at Houghton, and she also earned a year’s loan of a Suzuki ATV quad bike.